Not everyone is called to adopt, but everyone can help bring an orphan home. 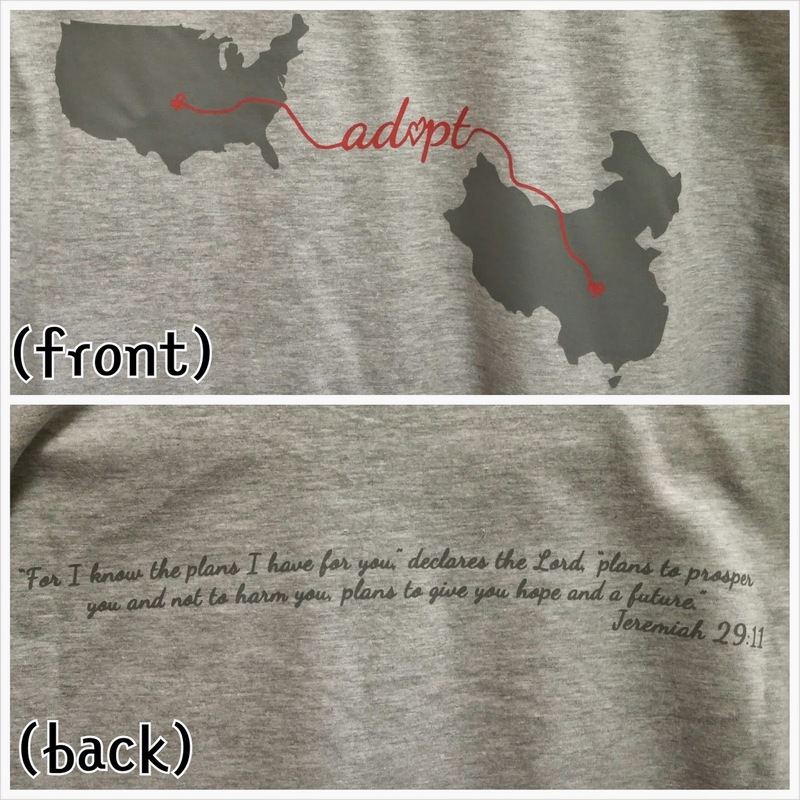 WE HAVE BEEN APPROVED TO TRAVEL TO CHINA AND BRING JIAJIA HOME IN JANUARY! Thank you for your help; now let's rally to help the DeLauneys! As you can see, we have met-- and way surpassed our goal! It's been a crazy two days trying to respond to all the encouraging and supportive messages we are receiving and to continuously monitor our blog, Facebook, and this page and we are very thankful for the exhaustion we are experiencing because God provided in a huge way through this story and campaign! God is so good! 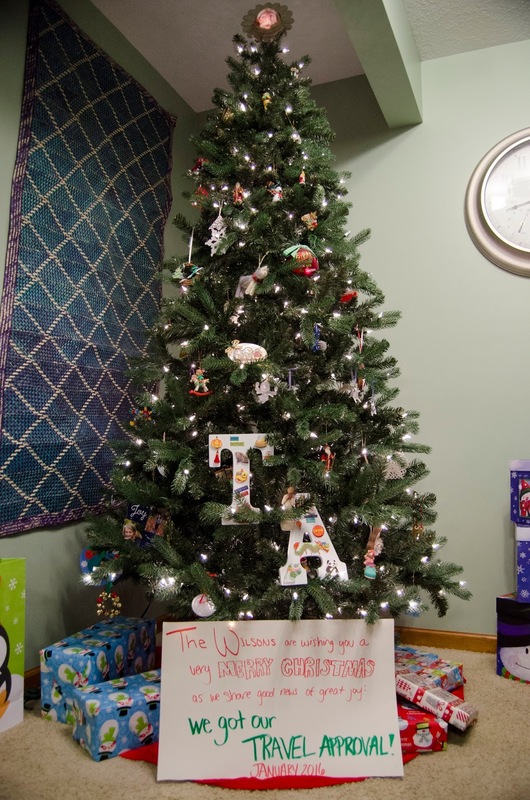 We are still taking donations and will honor our word about distributing the excess funds to other families who are adopting. With that being said, we would like to introduce you to our friends, the DeLauney's, who are adopting two older deaf boys from Alenah's Home, where JiaJia currently lives. While any money given to this campaign will be given to families like theirs, we also want to advocate on their behalf and redirect you to their page. If you are wanting to give directly to a campaign that has yet to reach its goal, please visit their GoFundMe page so Max and Miles can also come home to their forever family. Max and Miles were also seen in the CNN video and are waiting for their family to come get them. They are in need of twice the money we are in the same amount of time, so please click over and support their adoption as so many have done for ours. About eleven hours ago, our worlds were turned upside-down when CNN told us they were airing a story that would feature our JiaJia! Right now, this blog has been viewed 3,000 times by people living in ten different countries. The number of "likes" on our Facebook page has almost tripled, adding almost 250 new followers. Three different Kansas City news outlets have contacted us about doing a local edition about JiaJia and our GoFundMe page's explosion. Which leads to the next part! We have received over $1,500 in donations to our private PayPal page. And seven hours ago, we created the GoFundMe page based on strangers asking us to so that they could donate. As of right now, we have raised $20,000! In seven hours, we have raised 2/3 of the amount that has been taunting us at every submission of paperwork, every application, every moment of weakness. In seven hours, mostly strangers have made that looming amount into a number that begs to be met. And we believe it can be with this amount of love and support we've received so far! UPDATE:We have had more than $4,500 donated in the hour and a half the GoFundMe has been active, more than 800 pageviews on this blog, and almost 100 new likes on our Facebook page! Wow! We are so overwhelmed at how big this has become and how widespread JiaJia's story has become! Thank you so much! This morning, CNN aired a video story that was paired with a print story about the abandoned children in China. JiaJia (who now refers to himself as Jason, so we're trying to slowly transition to calling him that hah) was featured, along with our family's story that provided a hopeful and happy ending to his abandonment story. The story and video can be found here. Since the story aired at 8 a.m, we have had over 400 blog views, six new Facebook page likes, and innumerable messages, comments, and words of encouragement and support! We had no idea that impact JiaJia's story would have on the world as they watched him on the televisions in their own homes. Obviously, we were not prepared for the giant increase of love, support, and encouragement we would begin to see! So, if you are seeing this blog in a redirection from the CNN story, thank you! 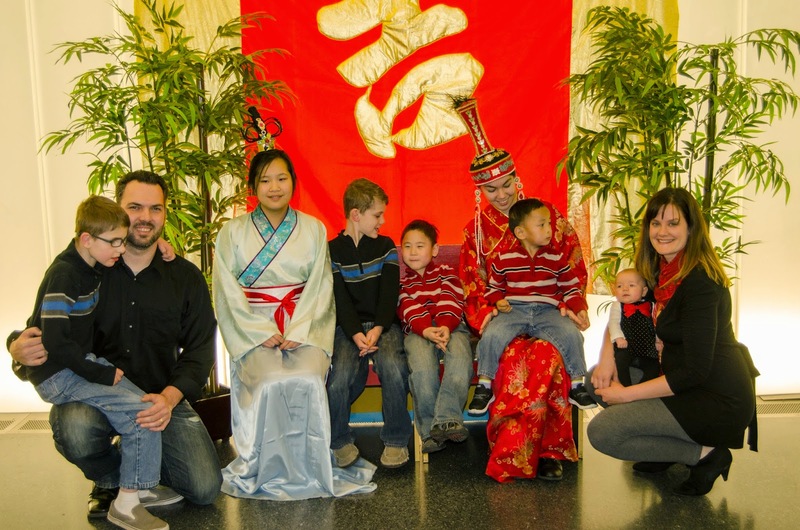 We appreciate you taking the time to read more about our story, our family, and JiaJia. One of the biggest requests we have had was to set up a GoFundMe page so that people could not only donate, but also keep track of our progress in the fundraising process. You asked, we listened. Our GoFundMe page is now active and accepting donations! The link is below. Thank you all so much for your support thus far and we look forward to continuing this journey with you. Sorry it has taken so long to provide an update; there has been so much happening and not enough time in the day to write about it all! So, there will be a lot of information in this post, but keep reading because you'll want to know it all! 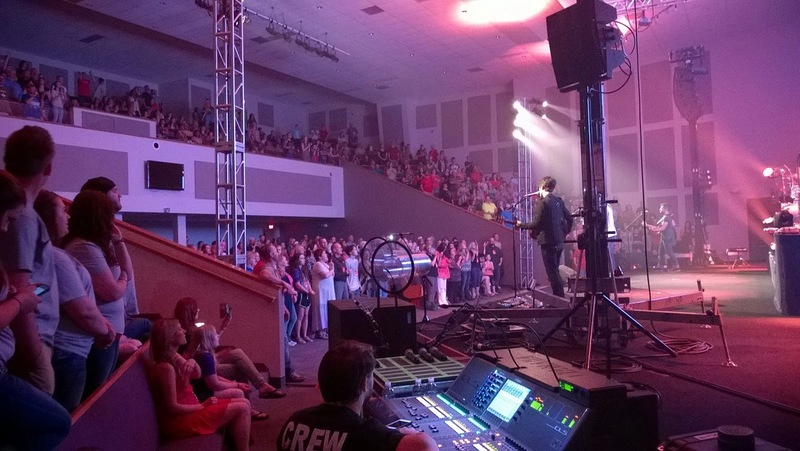 First off, The Beautiful Offerings tour was a huge success! Not only was it a night filled with awesome songs and times of worship, but the people themselves were a huge blessing to our family. Big Daddy Weave even prayed over our family and offered words encouragement on their personal tour bus after the show. Without the sacrificial help of our friends, family, and complete strangers, however, this concert would have never happened. We'd like to thank them, once again, for everything they did to make the night such an unforgettable one. 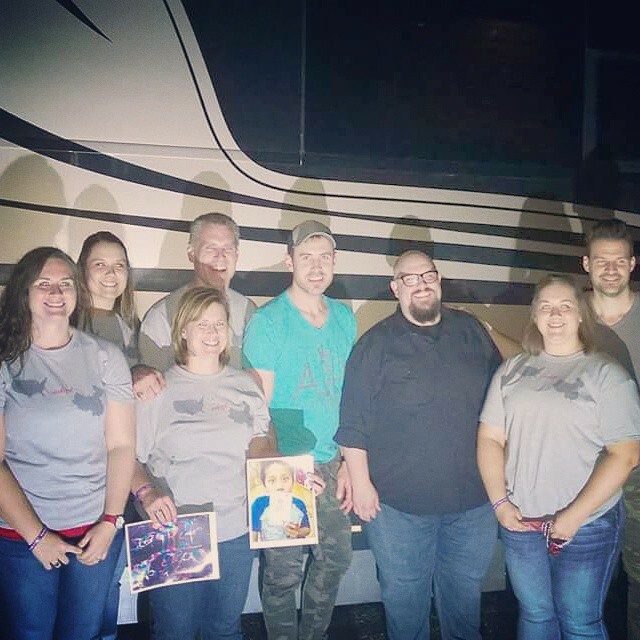 Thank you to Kim Mangels (and Muse Productions) for the huge task of booking and organizing the concert and ironing out all the details we would have never even thought about. Thank you to Matt and Amy Mangels for your help, support, and all the food you provided. Thank you to the Cross, Ron Ball. Rowans, Mays, Highs, Kevin Arnold, Hugh Shiveley, and Joyce Foutz for adopting the hotel rooms for the artists. Thank you The Sweet Tooth for providing your cupcake truck during the show. Thank you Blue Springs Hy-Vee for the donations of food and water used before the show and at intermission. Thank you Drury Inn for the discounted room rates. Thank you Chipotle for the catered dinner for the artists. Thank you The Metro Voice for the written article and support before the concert. Thank you Life 88.5 for advertising for the show and for the loving support throughout the process. 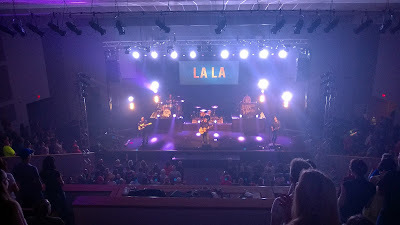 Thank you New Life Assembly for hosting the concert. Thank you Duncan Road Church for being our church family and loving us so well during this time. 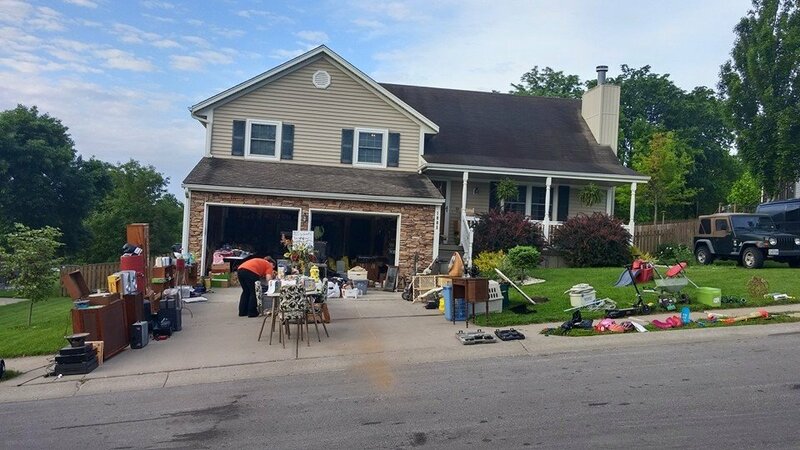 Secondly, the garage sale we hosted at our house the day before the concert was also a bigger success than we could have imagined! Thank you to everyone who donated items to be sold. 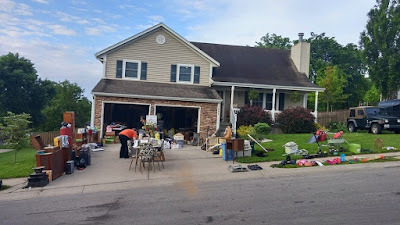 We had so much stuff that it took us hours to unload it all and we didn't even know everything that we had. Thank you Tyra Lefholz for helping us collect money and negotiate prices with people. It was so helpful to have another saleswoman! Now, for some financial information from the weekend. The total that we took away from the garage sale and the concert (minus the expenses) was just over $9,000! That is about one-fourth of the total of what we need to bring JiaJia home! We are so grateful to have made so much over the weekend, however, we still have a long way to go until we are completely funded. We made $9,000 that weekend, but we have already spent $9,000 in the process on the fees associated with the forms, paperwork, and organizations. So, while that money covered everything we have done so far, we don't have a reserve to pull money from moving forward. And the fees associated with the next step are probably the biggest ones we'll have. With that lead-in, now it's time for an update on where we stand in the legal paperwork process. Our homestudy is officially finished! Praise the Lord! That is a huge step in the adoption process. All of the immigration papers are completed and submitted and we are just waiting on the dates to get fingerprinted. With the completion of the homestudy, a new door opens for us: grants! We are now at a point in the process where we can now begin applying for all the different grants out there for adoptive parents. There are a lot of grants available and we are planning to apply for as many of the ones we qualify for as possible. However, each grant requires different things. Some require essays, some require a completed application specific to that grant, some require pictures, some require reference letters, some require financial statements, some require fees, and some have no requirements- they leave it to you to decide what you think is necessary to “win” their grant. Please join us in praying that we not only chose those to apply for that would be beneficial to us- some of them require application fees and lots of time spent on paperwork, but seldom chose a recipient- but also that we would not be emotionally and physically drained by the process. As we have already discovered, it can be exhausting filling out form after form, and there are a lot of forms to fill out for grants! While we wait for our fingerprint approval, we will be applying for grants to fill our time. Then, as soon as we receive the approval, we will submit our dossier to China. So far, all the legal paperwork we have done has been through the U.S. Government and our adoption agency. This will be the first of the legal information we will submit to the Chinese government. For those of you not familiar with adoption speak, our dossier is basically a huge packet of every piece of our past, present, and future. It contains medical records, background checks, marriage and birth certificates, letters of intent and references, forms, proof of home ownership, insurance, and employment, our homestudy, passports, financial statements, and photos. It's basically our entire lives in a giant folder. We will submit all of that to the Chinese government to review and (hopefully) approve. Submitting our dossier is the big fee we referred to earlier. It will cost us $6,000 to submit our dossier to the Chinese government. So, that can only mean one thing, right? That's right; another fundraiser is in the works! 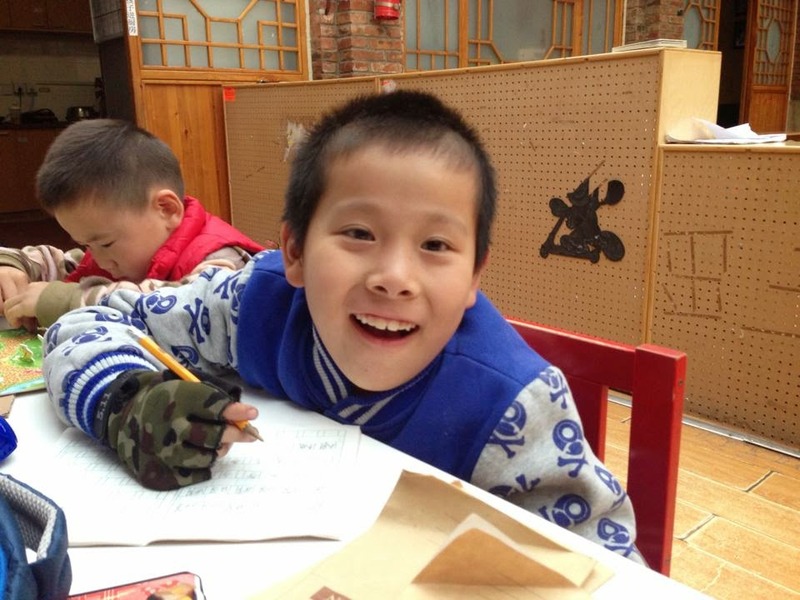 JiaJia's birthday is July 24 and since we cannot celebrate with him this year, we would love to celebrate him with friends and family and host an event to help bring him home so we can celebrate with him next year! Saturday, July 25, we will be hosting an all-day kickball tournament in the Kansas City area. 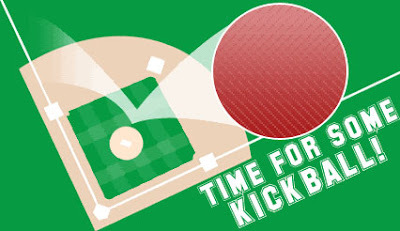 A lot of the details are still to be confirmed, but start organizing teams and mark the date on your calendars. There is also a Facebook event page on our Facebook group that will be updated when details are confirmed. Use code “KCPRIDE” if you're in the KC area and the shipping costs will be taken off and we'll deliver them to you in person. If you aren't a wearer of t-shirts or are not in the KC area to participate in our fundraisers but would still like to help us financially, we have a link to our personal PayPal account in the sidebar on the right-hand side or by clicking here. Donations made to this account go directly to offset the costs associated with the adoption process. As always, we would appreciate your prayers! Please pray for speedy response times and ease in dealing with the governments. 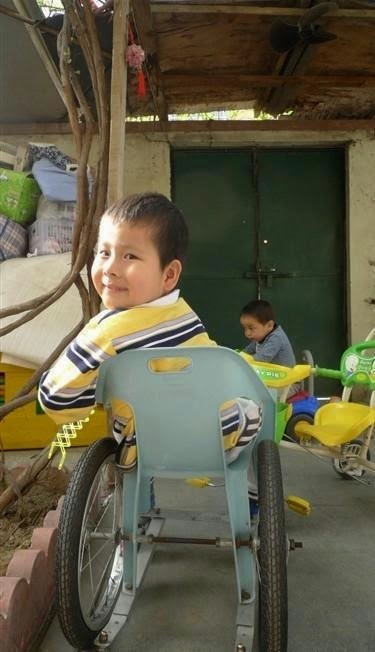 Please pray for JiaJia as he is ready to come home and is telling people at his orphanage that he is leaving next month. As much as we would love this to be true, it is not true at the moment. Pray for understanding and peace in the process as this little man doesn't fully understand why we can't come get him now. Please pray for financial provision as we come to the point in the process where each step will begin costing larger and larger amounts of money, leading up to the eventual huge purchase of two round-trip and one one-way international plane tickets. So much has happened that we almost forgot a huge moment we finally had! 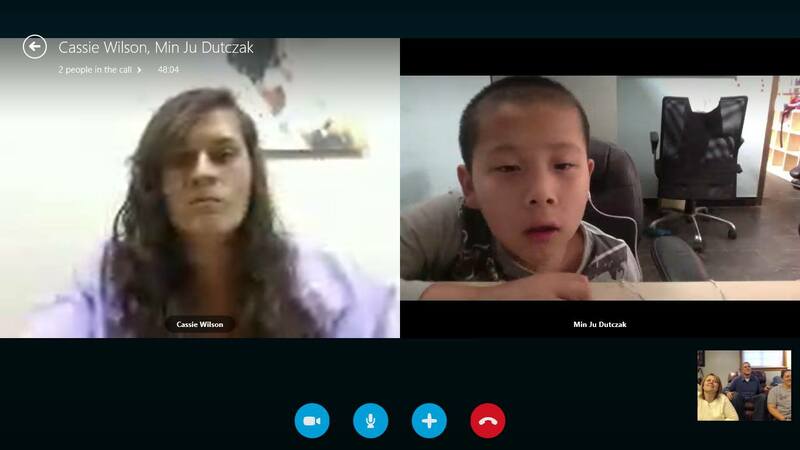 The pictures aren't great, but we had the chance to Skype with JiaJia! ? For those of you following our journey, we didn't think this was going to be a possibility because our homestudy didn't look like it would be completed before Min Ju, the lady at the home doing the social media, left Alenah's Home. God reminded us, once again, that His plans are bigger than we can imagine and an exception was made very last minute and we had our first real interaction with JiaJia! Thanks for taking the time to read all the exciting things that are happening! Hopefully, there will not be as long between this one and our next blog post! 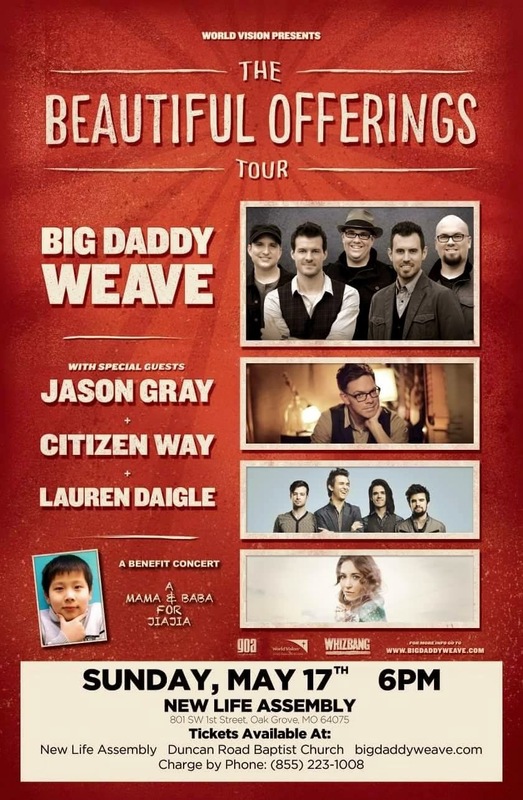 The Beautiful Offerings Tour is coming to the Kansas City area to perform a benefit concert to raise money to bring JiaJia home! Visit the Facebook event page for more information, including how to purchase your tickets! ORDER YOUR SHIRTS HERE THROUGH OUR ETSY SHOP! T-Shirts are finished and in our hands! Order them here in the comments, in the right hand sidebar of the blog (http://amamaandbabaforjiajia.blogspot.com/), or in person if you see us. They are $20 each for local pick up and $25 forshipping outside of the KC area. 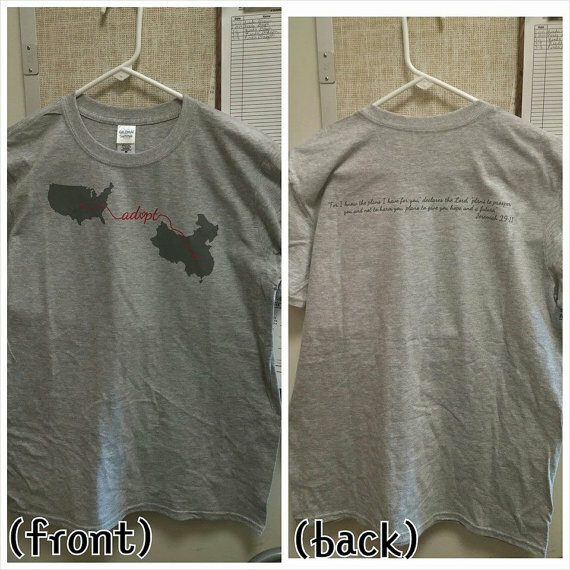 They are available in kid and youth sizes, adult S-XL, and up to 4XL (please add $1 for each extra X). We also have a limited amount of large hoodies available for $45. We are so excited and happy with how they turned out and can't wait to start delivering them to our supporters! Thank you all for supporting us! God bless! Since the announcement about JiaJia joining our family, we have been flooded with messages of love, encouragement, and support. There have also been lots and lots of questions. While we love to answer questions about this next season of our lives with JiaJia, we have repeated the same answers quite a few times. In order to provide some more answers without wearing out our fingers and vocal chords, we are going to address some of the most frequently asked questions we have received lately. We will answer all questions the best we can, but a lot of the answers can still be answered with “We don’t know.” We continue to learn more information and deeper details to questions, but some things we honestly won’t know until JiaJia is here and we can see firsthand. If you have other questions that aren’t listed here, though, feel free to send us an e-mail or Facebook message, comment on this post, call us, or ask us when you see us! Will JiaJia be able to get around in your five-story, stair-filled house? How? From what we have seen on videos and been told, JiaJia has great upper body strength. He uses the muscles in his arms and torso to get around on the floor where he currently lives. Because of this, we have reason to believe he will be able to do the same at our house. Yes, the family room, kitchen, and his bedroom are, unfortunately, on three different floors, but our stairs are short- only seven steps each- and already pretty easy to navigate. Some other things around the house will have to be modified, but stairs will be the biggest obstacle. A few of the other things we’ll have to change will be converting our standard bathtub into a wheelchair-accessible shower, ripping out our cabinet sink in the bathroom and replacing it with a lower one that is hollow underneath to allow the JiaJia’s wheelchair to roll right up under it, and rearranging kitchen cabinets for a few of each item (mainly cups and plates) that are out of JiaJia’s reach in the upper cabinets. If you’d like to help us offset the cost of the stair lifts or other modifications we will be doing to the house to better accommodate JiaJia, click on the PayPal link in the right sidebar and enter “House modifications” in the “Special instructions to the seller” field. How severe is his paralysis? Can it be helped with surgery? 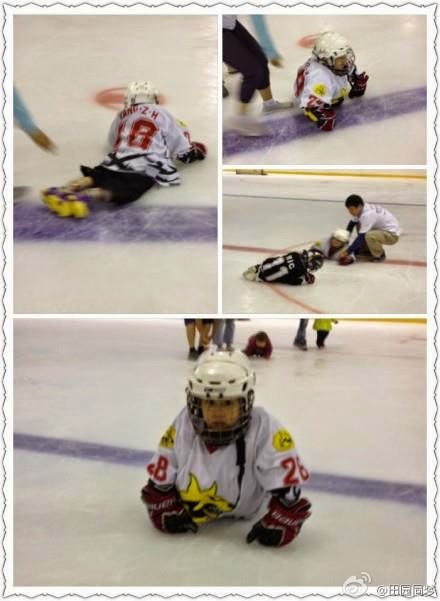 JiaJia loves to prove he can do it all. This is one of the many things we don’t know. Obviously, our adoption of JiaJia isn’t dependent on if he is “fixable”. We love him exactly how he is. We do plan to do anything we can in order to find out more about his paralysis and take him to the experts at our local children’s hospital to see if it is something that can be helped, or maybe even fixed. His paralysis could be caused by anything from an extremely pinched nerve, to blockage of scar tissue build-up, to a complete severed spinal cord, to something else that we don’t even know about. It might be able to be helped. It might not. We just don’t know yet. How did you “find” JiaJia? This is a long story, but we’ll try to make it… less long. 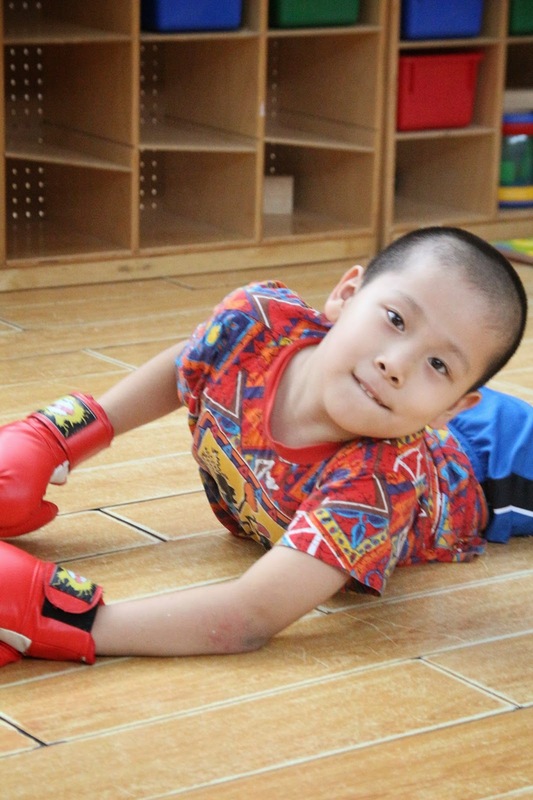 As many of you know, Aryn’s boyfriend’s sister and her husband, adopted a little boy from China a few years ago and then adopted another little boy this January. 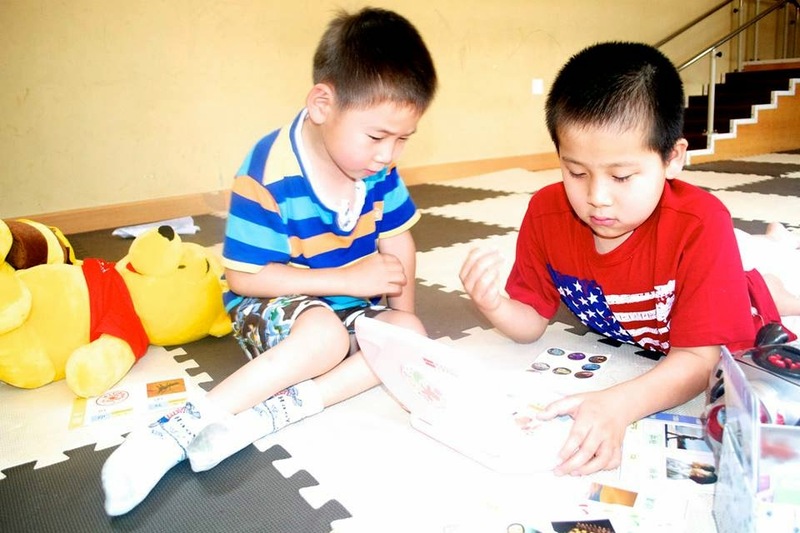 Their second boy, Jeremiah, lived at Alenah’s Home in China. As we followed the Mangels’ adoption story through Facebook, in person conversations, and blogs, another little boy appeared frequently. This boy was Jeremiah’s best friend and he was so happy that Jeremiah was getting his forever family. One day, Amy said she thought we were supposed to adopt this other little boy. Adoption has always been something we believed in. But we never had felt called to pursue it ourselves. All of the reasons we couldn’t possibly adopt seemed to be in the front of our minds. However, around Christmas time, after many hours spent in prayer, Jeri was the first to be absolutely positive that the adoption of JiaJia was the next step for us. After a few unmistakable signs and answered prayers, Brian also came to the same conclusion. All the reasons to adopt this little boy greatly outweighed all the reasons we thought we couldn’t. One of our concerns was that we were considered “older” for adoptive parents; Brian was quick to point out that Abraham was 100 and Sarah was 90 when they finally received the son they were promised, so we weren’t that old in comparison! After we were in unison, the process begun! We submitted an official application. Then, two weeks ago, on Saturday, we sat down and told the girls! (We captured that special moment in a video, so if you want to see that, just ask!) As a family of five, we were in complete unison that JiaJia was a piece of the family that has been missing. And we wanted that to change…. There are so many more details, though, that just can’t find on this page due to space. To hear more of the details of this beautifully orchestrated story and the way our prayers were answered, just ask! 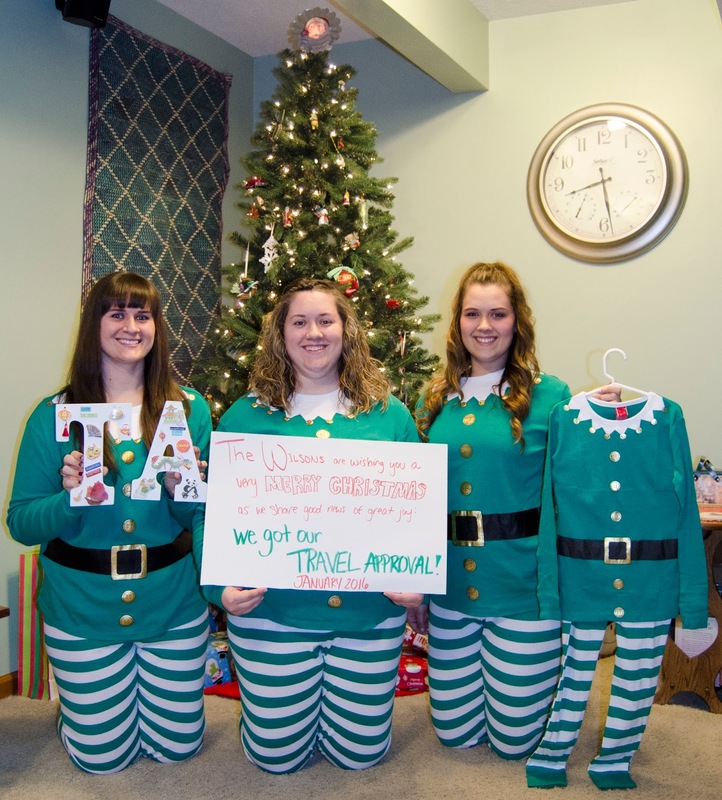 We would love to tell you more about it in person! Why didn’t you choose a child from Uganda? If we were looking for a child to adopt, Uganda would have been a familiar place for us to start. However, like the story above tells, we were not actively looking for a child to adopt. But a specific child was looking for us. 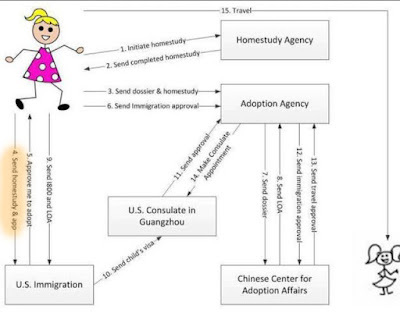 JiaJia was the reason we pursued this adoption process. We applied for adoption with him as the child we wanted to pursue. We chose him because we were called to. Does JiaJia speak English? Will he attend public school? JiaJia has a basic foundation of English. A lot of the volunteers at his orphanage are English-speaking so he has grown up around English. 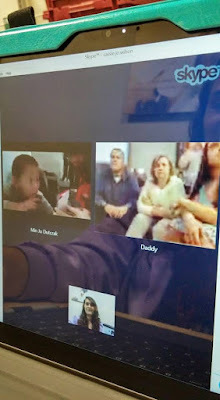 We are told that when his friend were Skyping with their new families, JiaJia would try and help translate what the Mama and Baba’s were saying to their child. 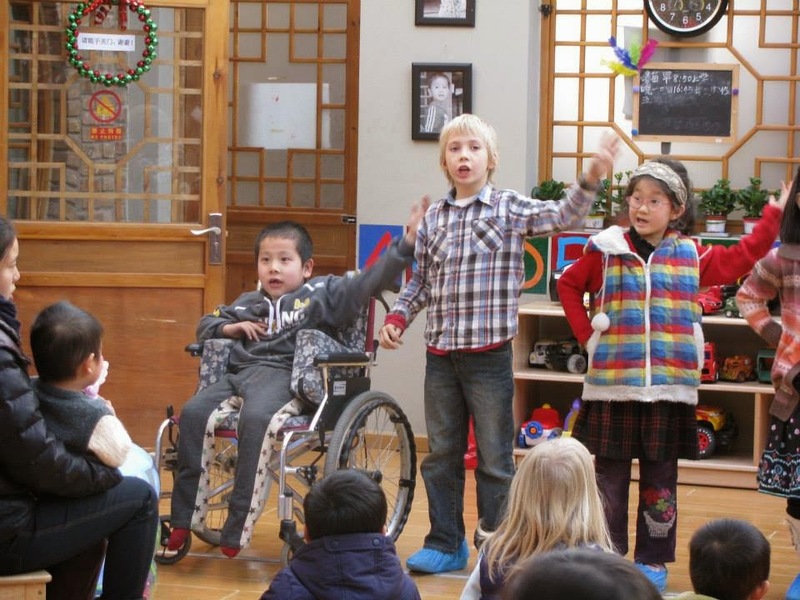 We have found out that our public school has transitional classes and is equipped to handle physical disabilities, as well as the culture changes associated with international adoptions and offers English as a Second Language courses. So, yes, JiaJia will be attending public school as soon as he has become adjusted and settled in to his new life. How much is the adoption process? How will you pay for it? 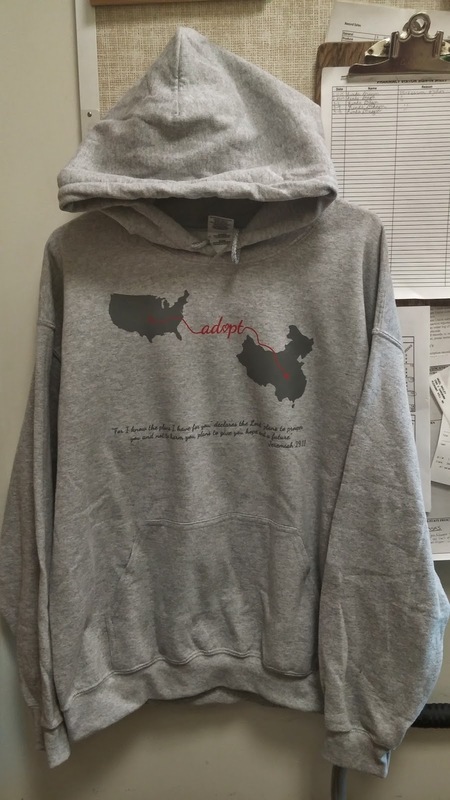 To help raise the money needed for this adoption process, we are already planning fundraiser events and are in the process of designing t-shirts to sell. So, keep your eyes and ears out for more information about those things. Currently, we have a PayPal page set up for direct donations and a Just Love Coffee page; both links for those are located in the right hand sidebar of this blog page. For everything we have to do that is mandated by the organizations and both countries- including applications, homestudies, paperwork, forms, etc.- there are fees. Each of these fees is thousands of dollars. On top of that, we will have to pay for medical check-ups, roundtrip airfare (and a passport and one-way ticket to America for JiaJia), visas, in-country travel, food, and accommodations. As you can imagine, it adds up quickly and we don’t have that kind of money just sitting around waiting to be spent. When will JiaJia be coming home? This is another one of the “We don’t know” answers. We have been told a few different date ranges already from different people. We have heard answers that it could be as early as this fall to as late as a year from now. Since we are still early in the adoption process and still have lots of paperwork and check-ups to do, we have not been given a definite time line yet. But we are hoping we’ll have him home by Christmas! Will you keep his traditional name or will you give him an American name? 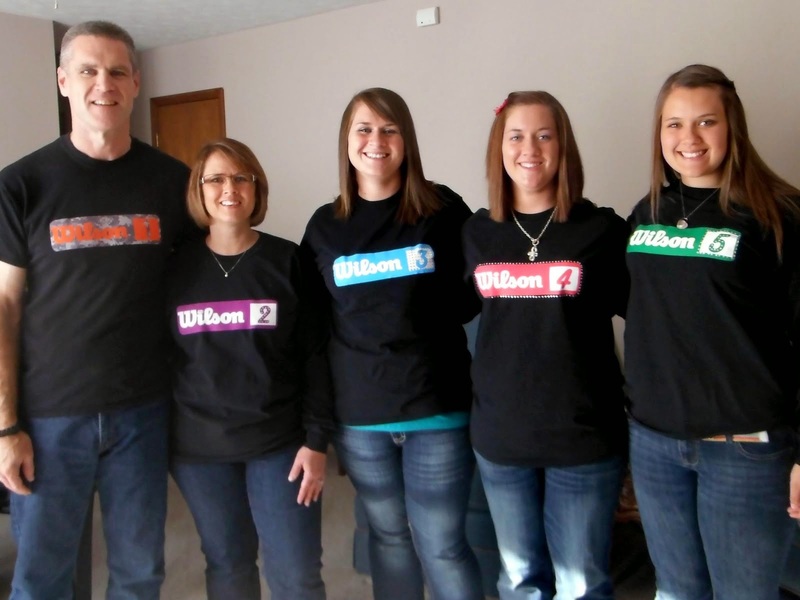 We are just so excited (and ready) for him to have the name "Wilson"! 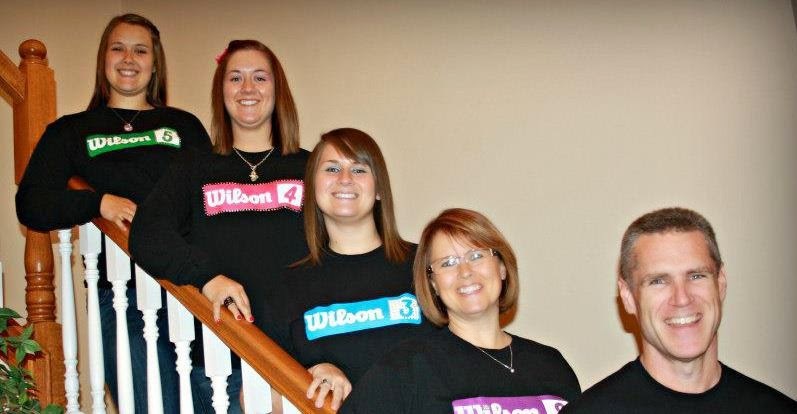 The Wilson 5-- soon to be 6! Subscribe to our blog so you don't miss updates!